The three Khans might have failed last year but their stardom is something which never fails. Handsome hunk Salman Khan and the one with the Greek god looks Hrithik Roshan have their own fair share of the limelight. While one is the heartthrob of the nation, other one makes women follow him like crazy. Hrithik is gearing up for his next Super 30 which is based on the life of a mathematician. All this while rumors were rife that he will also be seen Rohit Dhawan's action film. 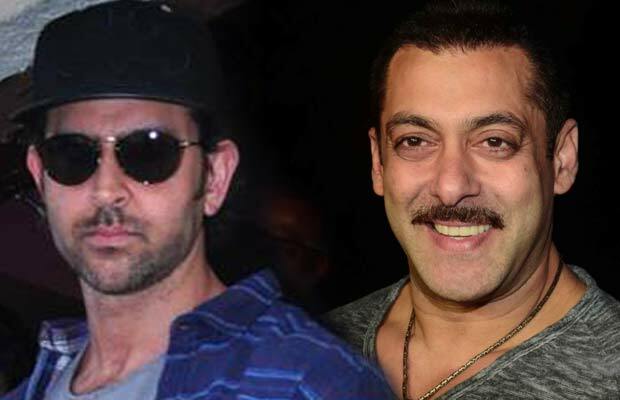 But now the buzz is that Salman Khan will be the one stepping into Hrithik's shoes for this one. As known to all Salman is a close friend of Rohit's father David Dhawan and he really liked the script of Rohit's movie. As per a report by Bombay Times, Salman will be the one who will now be seen in Rohit's directorial. Apart from this, he will also be seen in Ali Abbas Zafar's Bharat. The movie is slated to release on Eid 2019 and also stars Disha Patani, Katrina Kaif, and a few more stars.